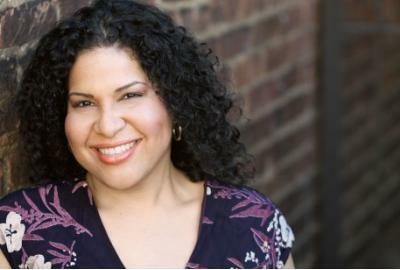 Rayanne Gonzales in Olney Theatre Center/Round House Theatre's In the Heights for which she received the Helen Hayes Award for Outstanding Lead Actress in a Musical in 2018. Last year, RAYANNE GONZALES won the Helen Hayes Award for Outstanding Lead Actress in a Musical (Hayes Production) for her role in the hit musical In The Heights (Round House Theatre, Olney Theatre Center). She took some time out from her current role, as Jack's Mother in the Ford's Theatre production of Sondheim's Into The Woods (through May 22), to chat about her identity as a child of immigrants, the stage malady she believes should be medically classified and the one job she only lasted a day in (but helped her find her "true ministry"), in this week's 'Take Ten' from theatreWashington. My first live show memories are a little fuzzy, but I have a vivid and distinct memory of listening endlessly to the Original Broadway Cast album of Annie. Andrea McArdle was a vocal idol of my childhood. I even performed a medley of songs from the show for my fourth-grade class! My first cabaret, if you will! It was in middle school, a rarely performed chestnut called Fireman, Save My Child! I think I even said the pivotal title line in some remotely dramatic fashion. Church choir was my foundation though, and where I discovered my voice. In the Heights. As a job, it afforded me a chance to see the country with my daughter and my mom in tow. I made friendships that endure and will for years to come. 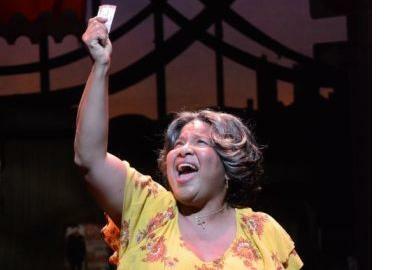 The show itself is a representation of what I know and cherish as a daughter of West Indian immigrants who took the leap of faith to seek a new life in a different country. Asking the questions of identity and what to keep or leave behind while still being true to yourself and your heritage make it a part of my heart always. I lasted all of one day as a server at a Dupont Circle restaurant. Hostessing was my true ministry. Do you have a couple of hours? There's quite a few to mention but I can attest that I suffered an SOU when I went on as Nettie Fowler in Carousel at Arena Stage in 2016. Never heard of it? I firmly believe it should be medically classified because it's REAL. SOU, or Sudden Onset Uggams, occurs when one is singing “June is Bustin’ Out All Over” and the brain glitches trying to keep all the stanzas straight about who is busting or getting busted and BOOM! Gibberish. It was the last performance of a five-show weekend and the sheer exhilaration of going on in my understudy track gave way to exhaustion. 6) What are you enjoying most about working on Into The Woods at Ford's Theatre? I am working with some of DC's finest actors for the first time, making it a joy to collaborate and explore with creative minds I've long admired. Fine, I'll try to whittle it down because this list? Long, very long. Daniel Kaluuya, actor. You've seen him in Get Out, Widows and Black Panther (Wakanda Forever!). His versatility as an actor and the credits he's earned as a writer make him an interesting study in talent and drive. I'm piqued to talk about what it's like both being first generation children of immigrants who found a voice in the arts. Plus, he's mad cute! I already have my dream job as Mom to my spirited, imaginative and very funny 11-year-old Paloma. She makes every day worthwhile and I aim to keep doing the best I can to love, support and provide for her doing what I love. If performing is one of your major food groups, feed yourself wisely. Rest and hydrate. Booking the job can seem like an endless cycle of audition and rejection and it will get tough, there will be dark days. But get up and get back in the room. Your tenacity to keep going will not go unnoticed. Enjoy! 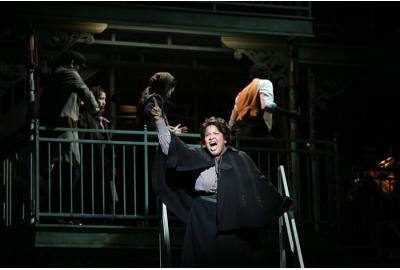 RAYANNE GONZALES​ is currently performing at Ford's Theatre as Jack's Mother in Into the Woods. 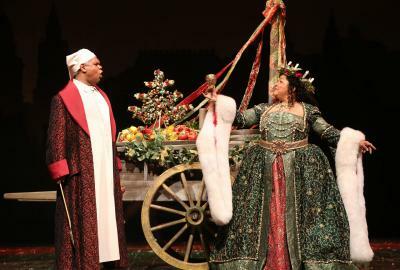 She has also appeared in other Ford’s productions including A Christmas Carol and Ragtime. 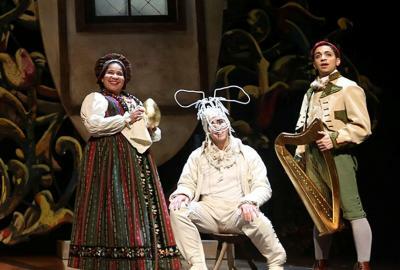 Regional credits include Passion at Signature Theatre and Carousel at Arena Stage, as well as performances on Broadway and in NBC/Universal’s The Sound of Music. She holds degrees from Boston University and Longy School of Music.